Good Morning everyone, I hope you had a great weekend we had a very good weekend in Miami and are hoping to wrap things up strong today as the show ends. 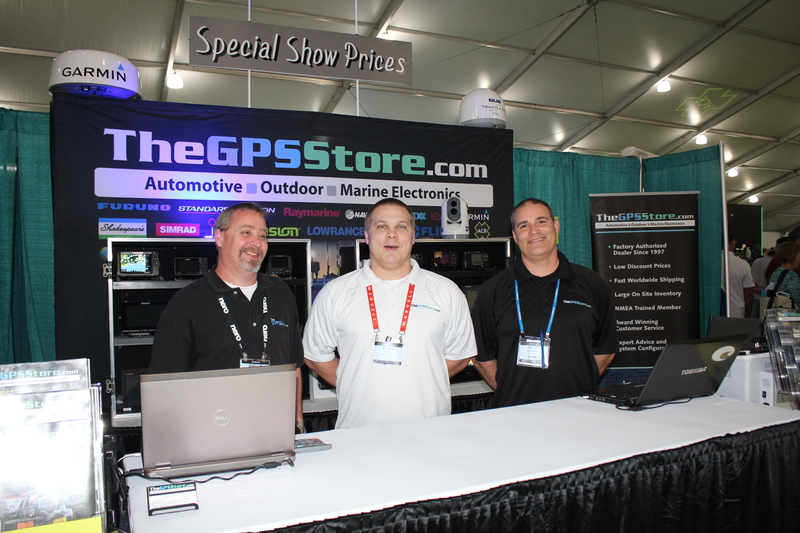 If you are in the Miami area and are looking for marine electronics today will be your last chance until 2018 so go out and enjoy the show. We had a very busy weekend online as well a sure sign that things are ramping up for good weather in the north. The team will be leaving Miami shortly after 5:00 P.M. and driving through the night home and will be back at full strength on Wednesday. Please visit Facebook for the Miami Boat Show for pictures and announcements. I will be back to you later but until then have a great start to your week. We are headed south tomorrow. That’s right we are on our way to the Miami Boat Show that will run from Thursday through Monday the following week. It is usually our biggest boat show with the most traffic. This year it looks like Furuno is adding to the value of their products with their Big One Rebate which put electronics that are sometimes out of one’s budget back in play for a lot of customers. 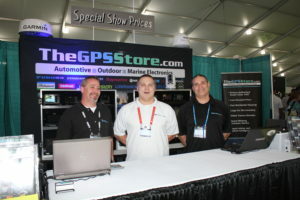 When you subtract the rebate from the great prices that we offer at the boat show you get a great value and product. Just the rebate from our normal sell price makes buying Furuno a great deal for a product that normally lasts years and years. I hope all of you in the Northeast are able to stay safe and out of Winter Storm Orson’s way. I have friends in Maine that are right in the middle of it and looks like that the 18-24 inches they got overnight will have another 18″ added to it today along with 60 mph winds. Now that is a storm, but they know how to handle it so I know they will be OK. Well back to helping the crew finalize what is going to go on in Miami, and I can’t say it enough but if you can go to the show in Miami you stand to get great products at great prices and see a great show. Back to you hopefully later in the week. I certainly hope that everyone stayed up like I did and watched the Super Bowl last night. The game was supposed to be done and over with by 10:00 P.M. last night but they had just started interviews around 11:00 so it was a late night for everyone here at The GPS Store. We have a number of New England Patriot fans here at the store but the majority of football fans here seem to be anybody but Brady fans. Most people are either NY Giant and Carolina Panther fans so that gives you an idea of why it is anybody but Brady. Today is the last day that we will be able honor our Boat Show prices on our website so if something interests you today may be the last day for the price listed. I will be back to you a little later this week when we get over the Super Bowl numbness, so rest up and get ready. Good Morning, Scott and Brian are happy to be back from NYC but want to thank all of our friends and customers who stopped by our booth. It is always great to see our friends from previous years and make new friends for the current year. We had great sales during the boat show and we are now turning our focus to Miami in a couple of weeks. We have some pretty good specials online that we are offering for those of you who could not attend the show but if you are anywhere near one of the boat shows we exhibit at; it will pay your way to come and buy from us at the show. We are getting a tease here in Ocean Isle Beach today as the weather will have temperatures hitting near 70’s both today and tomorrow, pretty good golf weather to be honest with you. Here is a link to what we are offering on sale if you were unable to find it on our website. I hope you all have a great rest of the week and i will be back later.